MARIGOT–The question of what happens next on the land occupied by the former Captain Frenchy’s Restaurant on the Boulevard of Grand Case has been answered by the owner himself, Cécilien Richardson Flanders, who divulged his plans to this newspaper. 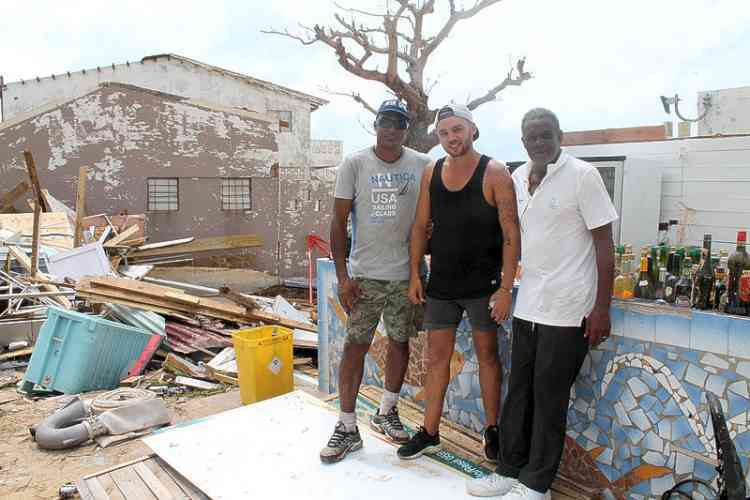 The popular internationally-known restaurant located on the water at the far Marigot-end of the Boulevard and operating legally since 2002 was completely destroyed during Hurricane Irma on September 6, 2017. Flanders explained he has submitted documents to the Collectivité to purchase the land Frenchy’s was situated on and also presented plans for a new restaurant and building project. Given the slow pace of approval of permits by the Collectivité, it would seem a new Captain Frenchy’s will not see the light of day until 2019. But Flanders is hoping if he gets the approval now he could still open the restaurant for this season and the hotel next year. A veteran tourism ambassador over the past few decades, Flanders was one of the first to bring tourists to Grand Case. His project will be another welcome addition to the Boulevard of Grand Case, whether it comes to fruition this year or next year.